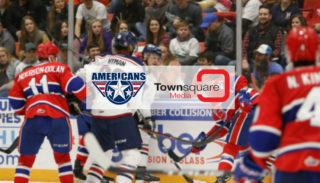 The Americans played the first game of a doubleheader against the Royals tonight in Victoria. 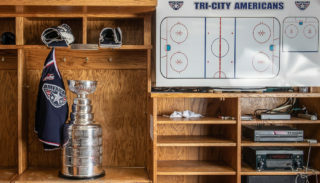 Tri-City was unable to gain a lead and ultimately fell 5-2. 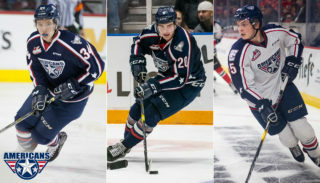 Igor Martynov opened scoring at 2:58 giving Victoria an early first period lead. Krystof Hrabik was able to tie game at 10:50 after a strong breakout pass from Riley Sawchuk. Four minutes later Hrabik took a checking to the head penalty giving Victoria a power play opportunity. The Royals took back the lead and ended the Americans streak of 25 successful penalty kills with a power play goal from Ralph Jarratt. Logan Doust finished the first period with another to give Victoria a 3-1 lead. Scoring resumed in the third period with a power play goal from Anaheim Ducks prospect Kyle Olson, assisted by Aaron Hyman. The Royals replied thirty seconds later with tonight’s insurance goal and finished the game with a 5-2 victory over the Americans. The two teams will meet again in Victoria tomorrow for the second game in their doubleheader. 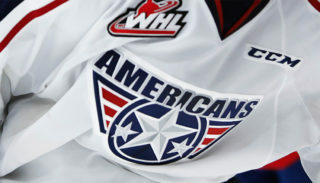 The Americans will Pink the Rink on Saturday, 2/9 for Fred Meyer Breast Cancer Awareness Night. Tickets are available at the Toyota Center Box Office or online here. Our popular stretch packs became available today. Purchase here.